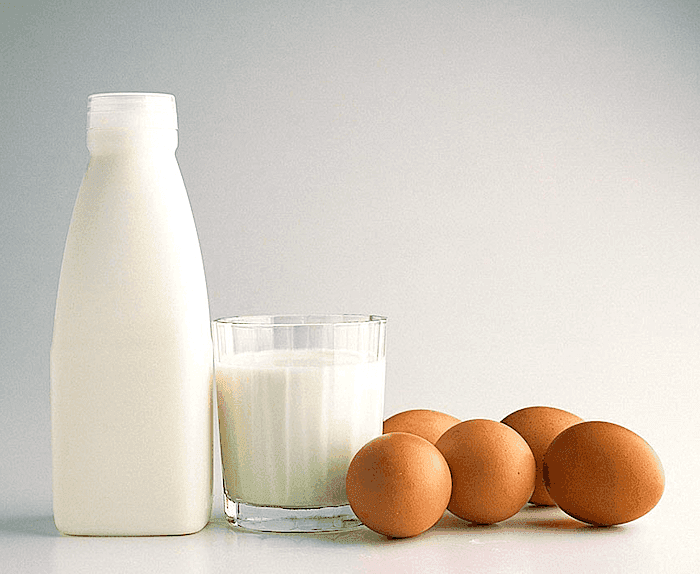 Snoring and Dairy Products: Is There a Link Between the Two? For a long time the population was taught that milk was beneficial and essential for optimal health. An increasing number of people are finding that this may not be the case. Now, you might be saying that you are not lactose intolerant and have no problem digesting milk. This may be true, but what you might not know is that dairy could be contributing to your snoring, even if you aren’t sensitive to it. So, that three-cheese pizza you have for dinner or the big bowl of ice-cream you eat right before bed might be the reason why you constantly feel tired, even though you went to bed early. For a while there was a theory that dairy promotes mucus production. Well, the theory was close, but not quite correct. Several case studies have been done to prove this inaccuracy. However, although dairy does not cause your body to create mucus it is proven to thicken secretions in your throat. This naturally feels like you have a lot more mucus there. So, can this thicker mucus contribute to snoring? Absolutely! The muscle tissues in your body relax when you sleep, so they are permitted to vibrate against one another in your throat every time air passes through. If you have thicker mucus lodged in your throat, the passageway is even narrower than it normally is. Therefore, eliminating dairy, especially close to bedtime, could help relieve your symptoms. This does not mean you will instantly stop snoring. If your soft tissues are already naturally falling close together when you sleep then you may still need the help of anti snoring devices, such as the Zyppah, SnoreRx or VitalSleep among others, but reducing secretions in your throat could definitely help. Only you can determine if you need to reduce or completely eliminate dairy from your diet. You may need to go through a trial-and-error phase. Keep in mind that dairy goes well beyond the milk you pour in your bowl of cereal or cheese you add to your sandwich. If you are really sensitive, you may find that you need to eliminate soups, gravies, desserts, and other dishes that contain dairy, as well. If you are not ready to say goodbye to dairy completely, start by avoiding it a few hours before bed. The thickening effect dairy has on mucus is strong for a few hours and then gradually wears off. You might find that as long as you don’t consume any past dinner, you’re fine. Then again, you may discover that you do better when you just don’t consume any at all. If you grew up during the “Milk: It Does a Body Good!” campaign, then you may be under the impression that this is the only source of calcium that can possibly keep your bones strong. This is absolutely not the case. Studies have shown that dairy can help strengthen bones initially, but long-term effects prove it to erode bone-producing cells. There are plenty of healthy foods that are packed full of calcium, but don’t have the artificial proteins, antibiotics, and growth hormones present that are commonly found in dairy. A few of the richest sources of calcium include chia seeds, sesame seeds, quinoa, oranges, dark leafy greens, broccoli, beans, black strap molasses, and nuts. Avoiding dairy is easier today than it has even been in the past. You can go in a grocery store and find dozens of almond, coconut, cashew, hemp, rice, and soy milk options. There are plenty of cheese, ice-cream, butter, and yogurt alternatives, too, especially if you shop at a health food store. These are tasty options that don’t have the same mucus-thickening effect as milk. Just try making small changes to start. If you can’t survive without your nightly bowl of ice-cream, try a version made from coconut or almond milk. There are even dairy free chocolate chips you can melt for your beloved chocolate topping. Change can be scary, but if it reduces your snoring symptoms, you will quickly see that the benefits that come along with better sleep quality more than surpass any temporary feelings of deprivation you may experience from making dietary changes.